Welcome! 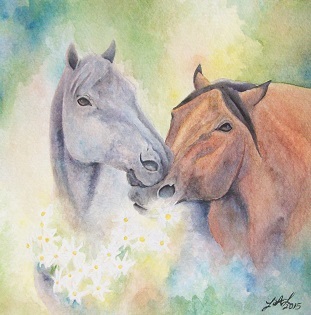 I’m Laurel, the girl behind Laurel Anne Equine Art. I see beauty everywhere in nature and try to capture and share it with others through many creative pursuits, mainly via my watercolor painting. By writing this blog, I hope to give you an in-depth look at my inspirations, how I work, and other quirky side projects. Feel free to comment, I look forward to hearing from everyone!